The fabricated dash kits & necessary components that the OP has mentioned in his original post. P.S Am aware that it's not an item for sale thread, could not find one on which to post - if you have a link then will be more than happy to switch. Last edited by scope22; 04-19-2016 at 06:53 AM. Yes I'm wanting to go from OEM NAV to Cubby - have found parts on ebay but they haven't got the m67 pigtail. I've only managed to find the 3-knob climate controls and non nav AC amp. I like your setup, especially the minimalist look. Possible to get it done from non navigation to navigation ? Posted this in Tokugawa's other NAV conversion thread. Figured I would post it here too. Same info just presented differently. This is not a beginners DIY! If you are not comfortable with/know how to; read pin outs, read wiring diagrams, splicing into wiring harnesses, adding pins to connectors, locating pins on connectors, then this is not the DIY for you. If wired improperly you could damage the HVAC system. I feel the need to add this due to the Society we live in: Any attempt to do this NAV system Conversion DIY is at the risk of the person attempting it. I will not be held responsible for any damage caused by attempting this DIY. It is the responsibility of the person attempting this to verify the below information and/or consult with a mechanic/expert before attempting this DIY. Some basic info: Both the NAV and Non-NAV have the same A/C settings; auto mode, temp range, blower speed, etc. The A/C Auto Amp is the brains of the A/C system in the 370Z and is differnt between NAV and Non-NAV model 370Zs. The other difference between the NAV and Non-NAV is how the controller for each system talks to the A/C Auto Amp. The Non-NAV has a direct connection vice the NAV talks to it via the CAN Bus. Here are the pin outs for the two plugs/connectors you would need to work with. On the diagram H.S. means harness (wire) side of the connector. 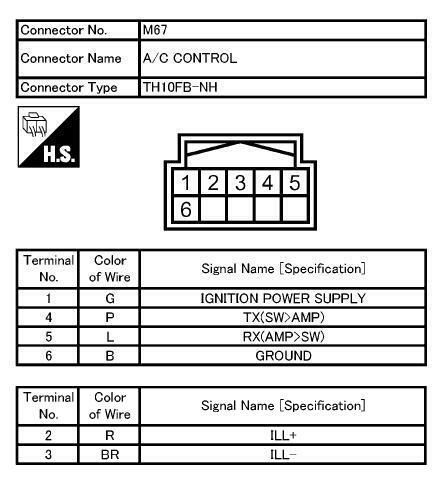 M67 is the connector going into the back of the Non-NAV Controller. M66 is the connector going into the A/C Auto Amp. 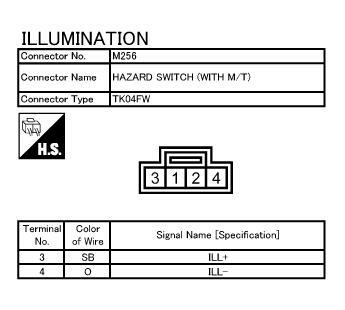 M256 is the hazard lights switch connector, pin out below. I hate putting out bad info. Going from non-nav to nav is not impossible but it is very impractical and going to cost a lot of money. The cars complete stereo wiring harness needs to be swapped out. I'm not talking about one or two connectors in the dash I mean the whole wiring harness that runs through out the whole car. This is due to the subsystems that need to be added like the GPS antenna, ECU inputs into the NAV system, and a few more. Also all eBay sales of the factory nav system that I have seen do not include the GPS antenna. The GPS antenna is not the antenna that is on the roof, it is actually in the dash above the HVAC fan/ glove box. Depending on which system are starting with you might need a new steering wheel too so you can have useable steering wheel controls. Just want to breathe some new life in this thread. I'm having a go at this DIY in Australia in a RHD. 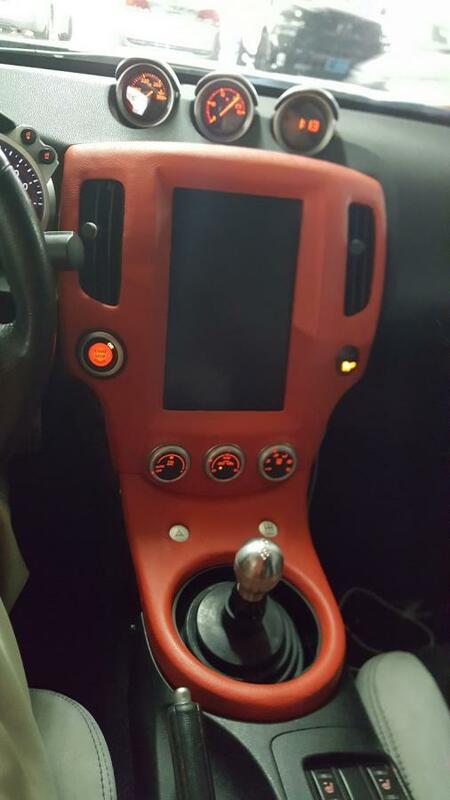 For those looking to do the same, the auto amp and AC controls are different part numbers, likely due the direction the center console faces. Looking at photos, the mounting points are differently. Unfortunately for Aussies, there is no option for the base model so all parts relating to it must be sourced overseas. I have bought these directly from Japan. However this makes getting the connector very difficult as there are no local wrecked base models. Luckily I have found the exact plug for sale in the US for a couple of $$ and will be able to make my own. I can link the seller for those interested, however I'm new to this forum and not sure of the rules. I have everything ready to go except the extra pins for the ac amp connector. What have others done to make these new pins? 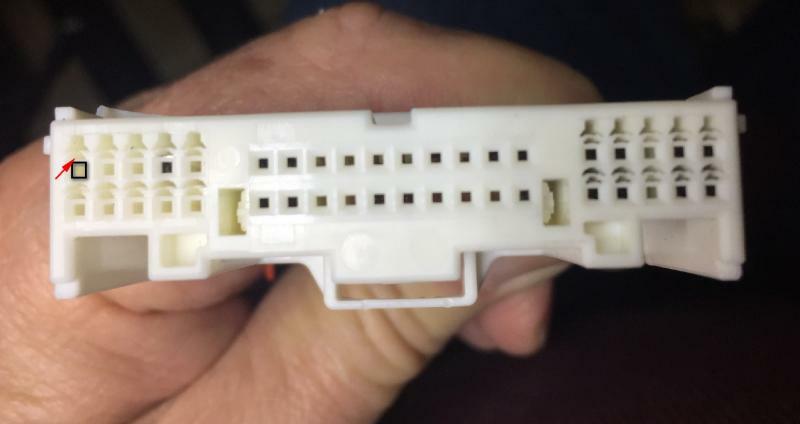 At a guess, most people have pulled the new connector from a wrecked car so the pins would have been on there already. I don't have that luxury. I'm trying to buy the whole AC amp harness and pulling two pins out to add to my new connector but I'm out of lucky again, the Z isn't a big seller in Australia and theres no local wrecks for me to cut it out of, and I'd probably have more luck explaining the thermodynamic cycle of an IC engine over the phone to a wrecker than getting them to cut one out for me and post it. So any suggestions where to source these pins from? Is anyone able to confirm they are the same pins as in the controls connector? I have a few spares of them I could use, I'm just not sure if the pins will sit in the plug correctly. You can buy pins at your local electronics store, here i get them at Fry's its like 5 bucks for a pack of shitton, you can find them online too just goggle connector pins, just need to get the right size, if i remember right, it was the smallest ones. Do you know which pins they are? They are sumitomo connectors, but there's a lot of different options for the 0.6mm pins. I'm not sure if they will all fit in the plug properly. If you meant to have the pics show up in your write up, they don't. Say which pin to which pin. Better description (or pic) of where the A/C Auto Amp needs to be installed/swapped out. 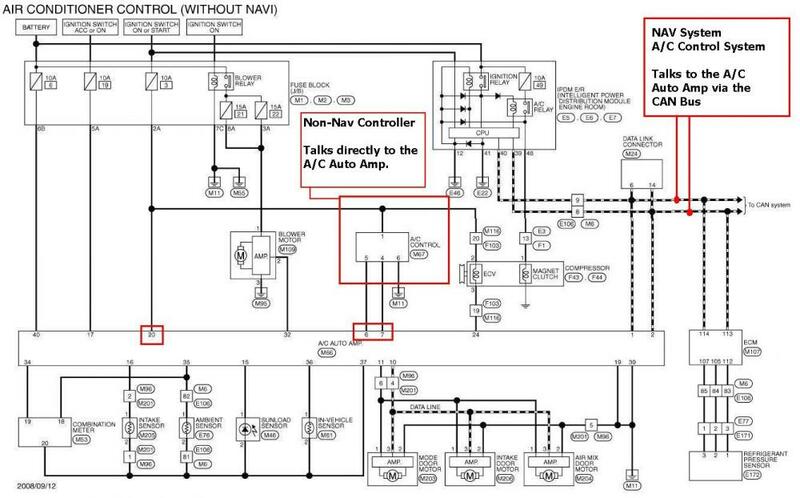 When I did my research I completely missed the fact that each system requires a different A/C Auto Amp. After looking again I realized my mistake. I confused the look up code with the part#. I hadn't looked up the illumination yet but, I knew it was a factor. In your album you have a wire between the BCM and the A/C amp highlighted, the one for defogger coms. Is this in the harness already or is the wire omitted entirely for navi models and something that needs to be added to get the defogger working? 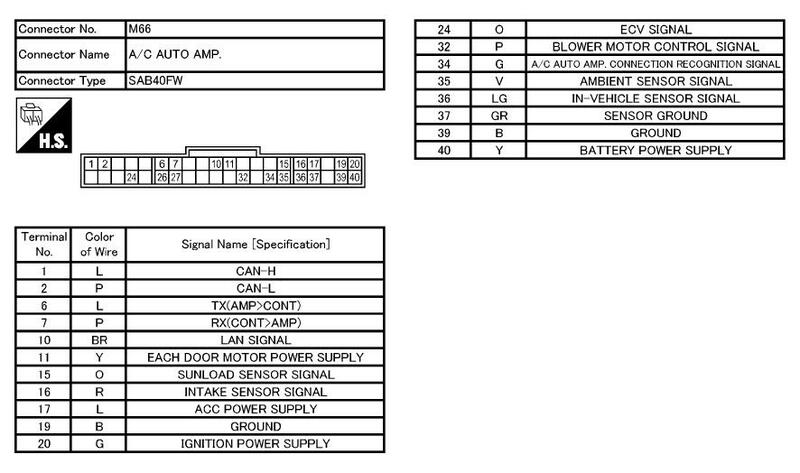 Pin 26 and 27 are the defogger pins on the ac amp connector, the manual states 26 is rear window defogger feedback signal and 27 is rear window defogger on signal. I obtained a donor 40 pin AC amplifier (M66) connector to add pins 6 & 7 to this connector in my 2016 Nismo-Tech. Removing these pins is a bit tricky because of their locking features; but I was able to do so. The first step is to make yourself a pin extraction tool. I took a straight pin, cut off the tip, and hammered the end to flatten it. Next, release the locking feature on the top of the connector by prying up on the ends. Finally, the connector pin you will be removing sits in the square hole, and you will need to insert your pin extractor in hole just above (or below) the square hole as indicated by the arrow. I recommend that you push the wire into the connector to relieve any tension on the pin locking feature as you insert the pin extractor, and then gently pull the wire out. This should pull out easily; so if it doesn't, the pin extractor is not positioned correctly. 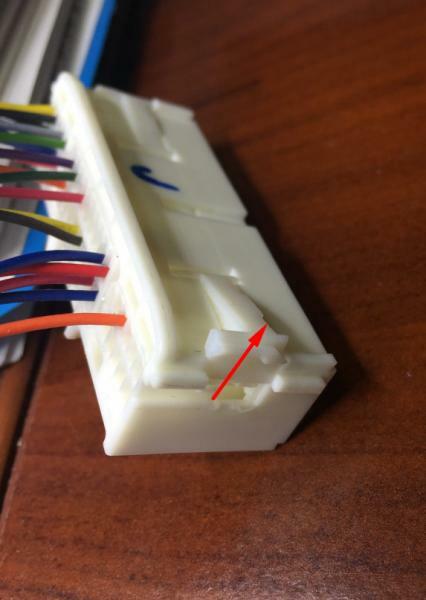 Finally, when you go to transfer these pins into your NAV system connector, you will need to lift the release tab and make sure the pins are oriented in the hole the same way they came out. Just want to breathe some new life in this thread. I'm having a go at this DIY in Australia in a RHD. How did the install go on an Australian model? I'm also from Australia and I am looking at doing this install as well. My god the red color for that cubby is hideous. It looks like a cheap red box movie kiosk. Should have been black, not red.